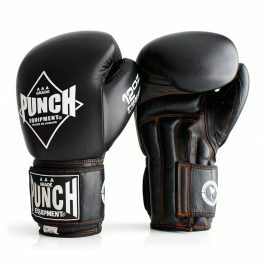 Punch Equipment's Flagship Boxing Gloves! Why choose the Limited Edition Kanga Trophy Getters® Commercial Boxing Gloves? 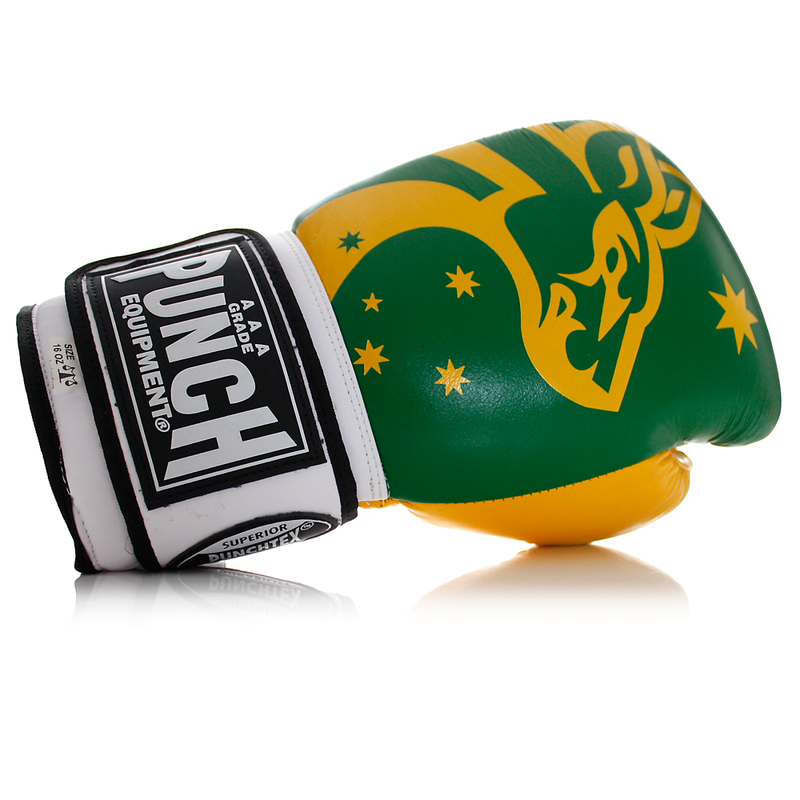 These Limited Edition Trophy Getters® Commercial Boxing Gloves were made for those who know, deep down that their spirit animal is the BOXING KANGAROO! 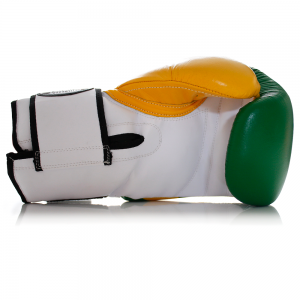 The Kanga gloves slick, Green and Gold design will leave others HOPPING with envy! The Trophy Getters® Commercial Boxing Gloves are Punch Equipment’s best selling gloves online in Australia. 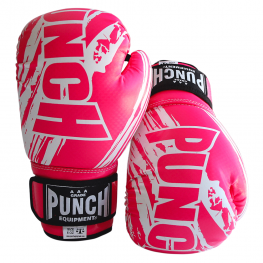 Whether you’re Sparring, working out on Punching Bag or training with Focus/Thai Pads, these Gloves are made for them all! These Gloves will last longer than any other Boxing Gloves on the market with their Punchtex waterproof linings to protect them from excessive sweat & moisture. We highly recommend wearing Cotton Inners, Stretch Wraps or Quick Wraps under your glove at all times for extra protection and further moisture buildup prevention. Gloves are designed with deluxe padded palms. Awesome quality gloves and really cool colour.